In addition to our normal open house we will also be celebrating our 50th Anniversary! 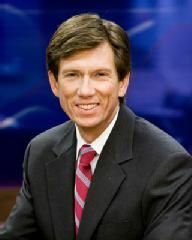 Dr. John Scala, meteorologist on WGAL, News 8 Storm Team will be the guest speaker at this year’s event. Dr. Scala comes with seasoned experience discussing and attesting to Winter Weather Hazards & Liability. There will be a chance to win a free year’s supply of home water conditioning salt and many more drawings with a free lunch provided. Cope Salt has partnered with the Lancaster Chamber to promote this educational event to help prepare the community for winter weather storms this season and to help prevent injury from slips, falls, and other weather driven incidents. The Chamber will also be hosting onsite facility tours which will highlight Cope’s new brining system as well as Cope’s solar panels addition. One of Cope Salt’s goals through our business initiatives is to promote a healthy environment. We are proud to say that our facility is capable of providing its own electric year round. Sponsors of the event this year will be Paradise Energy, offering a solar backpack drawing and Weaver Turf Power, offering an ice melt spreader drawing. The event will be held at our Lancaster location, 549 W. Roseville Rd, Lancaster, PA 17601.